Prof Vink has been involved in a range of official government Commissions and Committees of investigation, inter alia in the deregulation of agricultural marketing and the provision of rural financial services. He has consulted widely to national departments (Water Affairs and Forestry, Agriculture, Land Affairs, Labour, Trade and Industry, Cooperative Governance and the Treasury); provincial departments and internationally (among others for the World Bank, IFPRI, FAO, USAID, DFID, etc.). 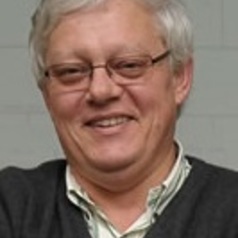 He is currently (2010-2012) the President of the African Association of Agricultural Economics, he was editor of Development Southern Africa (1988-1996) and of Agrekon (2002-2010). He has published widely, both nationally and internationally, with more than 100 academic publications to his credit. Teaching responsibilities include a general introductory module on agricultural economics and the agricultural sector in South Africa; agricultural policy and policy analysis at undergraduate and postgraduate level, and a postgraduate module in Wine Marketing.